Last year all of the Movelite's in the range received a make-over with the introduction of pre-bent articulated poles so providing more space in the interior and thus making them even more popular. 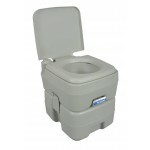 Based on the smaller Movelite Square, the Movelite XL is designed to fit coach built motorhomes (ideal for royalty). 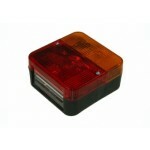 It is taller than the Movelite Square and so is suitable for motorhomes up to 290cm. 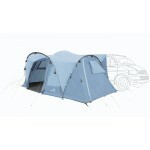 It features an extra wide front door and also with a wide rear door for easy van access. 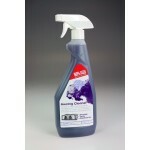 The fabric is Revtex 3000 polyester, offering 3000mm of hydrostatic head protection. This fibreglass framed drive-away awning features a full zipped canopy door which can be used a sun canopy when fully open. 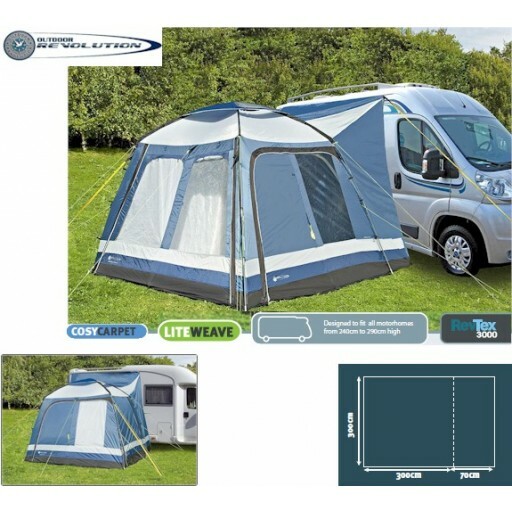 A detachable groundsheet also comes as part of the package and a 2-berth inner tent can be hung inside to create extra sleeping accommodation - the inner tent is available as an optional extra. 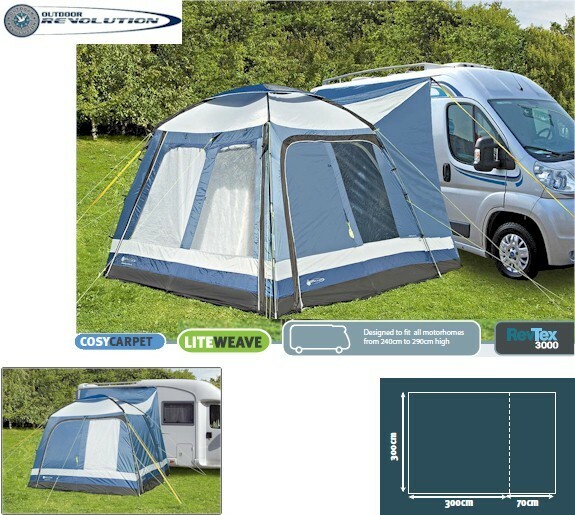 Why not also add an Outdoor Revolution Driveaway Fixing Kit (Large) which contains 3 x Figure of 8 strips each measuring 75cm and a Kadar gusset strip measuring 2.25 metres in length. This is ideal for attaching this awning to your vehicles' drip rail. Outdoor Revolution Movelite XL Motorhome Awning .